Thursday, January 28, 2016, is the official worldwide release of Lost In Harmony, a video game chronicling a teenager’s cancer journey including treatment and hair loss. Early projections show there may be more than five million downloads of this game. Timing of the game’s release coincides with The Princess Margaret Cancer Foundation’s #NoHairSelfie global fundraising campaign, where hair-ticipants either actually or virtually shave their heads in solidarity with cancer patients worldwide, on February 4, 2016, World Cancer Day. The Princess Margaret Cancer Foundation kicked off their 2016 #NoHairSelfie campaign on January 5, 2016. The new crop of ‘hair-ticipants’ were revealed who will be actually or virtually fundraising and shaving their heads on February 4, 2016 on World Cancer Day. 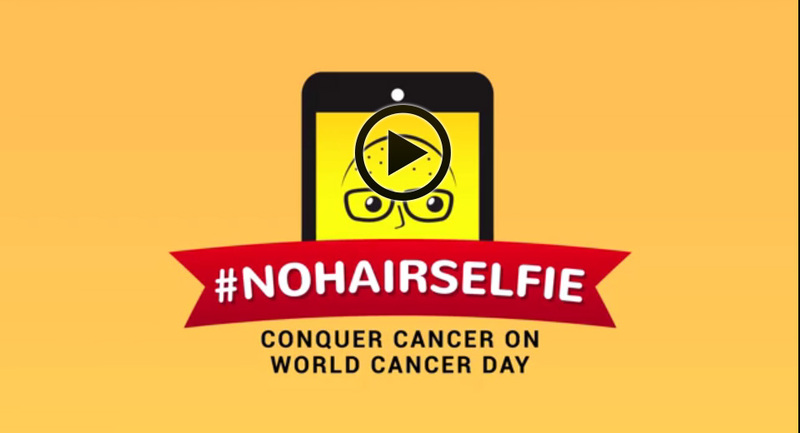 The 2016 #NoHairSelfie campaign is a global, digital campaign attracting hair-ticipants worldwide who will actually or virtually shave their heads and post their selfies on social media on February 4 – World Cancer Day. This year alone, 15 million people were diagnosed with cancer worldwide; this number will reach 22 million by 2030. #NoHairSelfie aims to bring together cancer patients, survivors and those who love them for one common goal: to conquer cancer in our lifetime. www.nohairselfie.com.